Bobby Catone opened his first tanning Salon in November of 1995 in Staten Island, NY. His belief in the value of excellent customer service, including friendly, knowledgeable personnel and clean, neat facilities, coupled with state-of-the-art equipment, quickly became the cornerstone of his operations. This focus led to a loyal following of tanning enthusiasts at his locations. Over the next 20 years, Bobby opened additional locations, built a strong client base and eventually sold the locations to independent operators. Bobby opened over 10 locations. 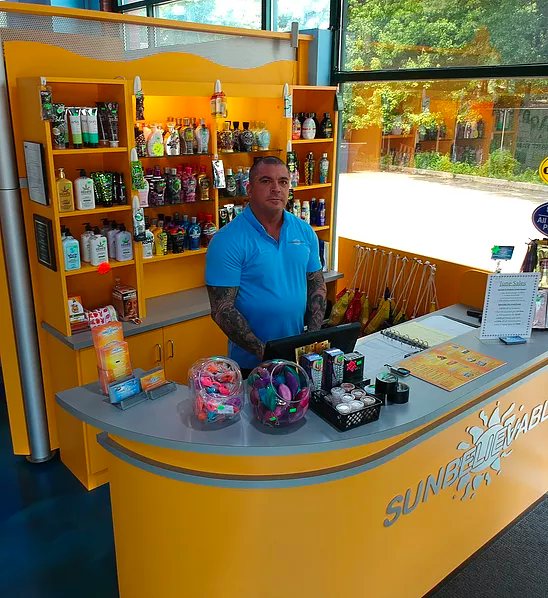 This was a first step that led him to consider franchising Sunbelievable because he enjoyed being part of launching local, independently owned tanning Salons. Through this process, Bobby perfected the operating systems and procedures and made the decision to franchise the business in late 2016. Officially launching the Sunbelievable franchise brand in 2018, his careful selection of franchisees is what has helped the brand grow to where it is today. Not only do we provide state-of-the-art tanning equipment, Sunbelievable’s attention to cleanliness, products, safety and customer’s needs puts us above all competition. There won’t be weeks of putting up walls and sheetrock. Sunbelievable’s custom walls are shipped in and assembled by a private company. Everything from our epoxy floor to tanning booths in your Sunbelievable Salon will be strategically branded. The modern look is also extremely easy to keep clean—just wipe away dirt or lotion and there won’t have any staining. Also, franchisees will only be required to have 8 to 10 tanning units, so it’s much easier to manage than the larger mega Salons. 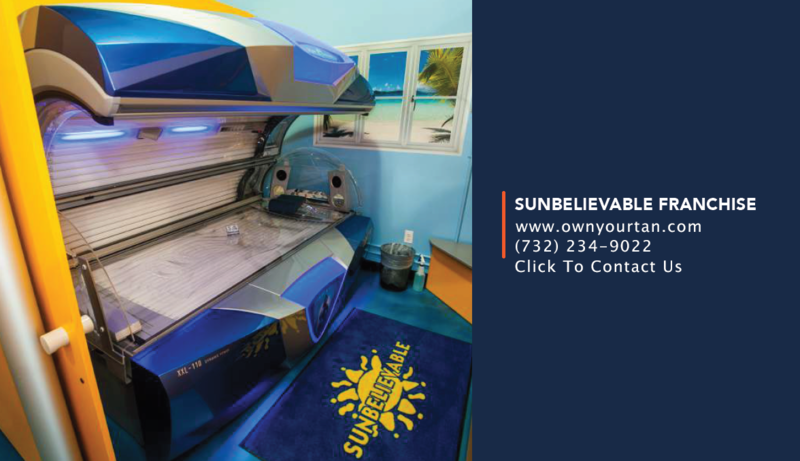 We have worked hard to provide the systems and procedures that go along with our state-of-the-art tanning equipment and our interior modular store design—making Sunbelievable Salons a place that customers love to visit over and over again. Franchisees receive a step-by-step employee training book to set you up for success. Incentive programs are included for all employees and managers to keep staff from having a high turnover. We also provide scripts and easy-to-follow instructions for staff when helping customers. Please be sure to review in detail the Sunbelievable Franchise Disclosure Document Item 7 estimated startup expenses. The Sunbelievable franchise opportunity can provide you with an amazing business built on recurring revenues. 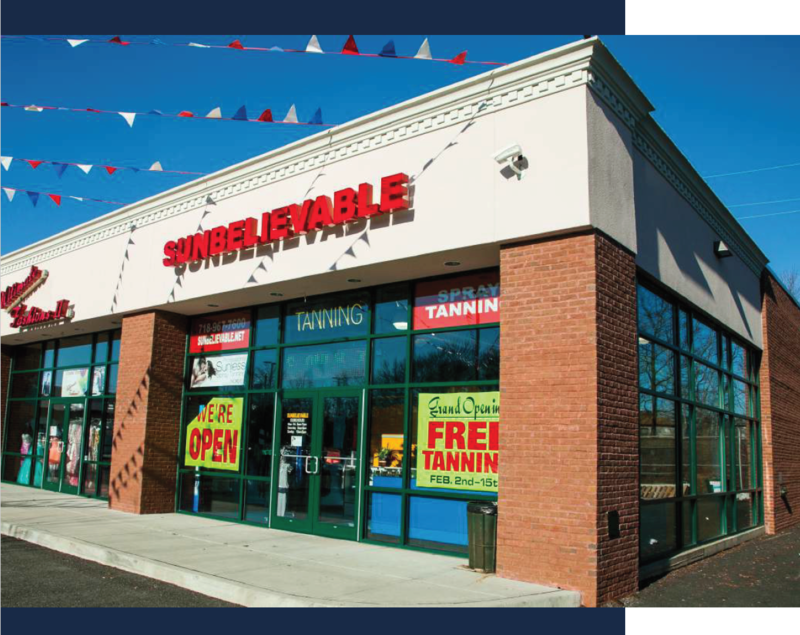 Sunbelievable allows franchisees to develop a multi-unit area under a Development Agreement. The development territory fee is $15,000. We look forward to speaking with you, learning about your goals, and discussing how the Sunbelievable franchise opportunity may be the right choice for you. This website and the information contained on this website is for information purposes only, is not intend as an offer to sell a franchise or a solicitation of an offer to buy a franchise. The offering of a franchise can be made by prospectus only in the form of a Franchise Disclosure Document. In the states of California, Hawaii, Illinois, Indiana, Maryland, Michigan, Minnesota, New York, North Dakota, Oregon, Rhode Island, South Dakota, Virginia, Washington, and Wisconsin we will not offer you a franchise unless and until we have complied with applicable pre-sale registration and/or disclosure requirements. 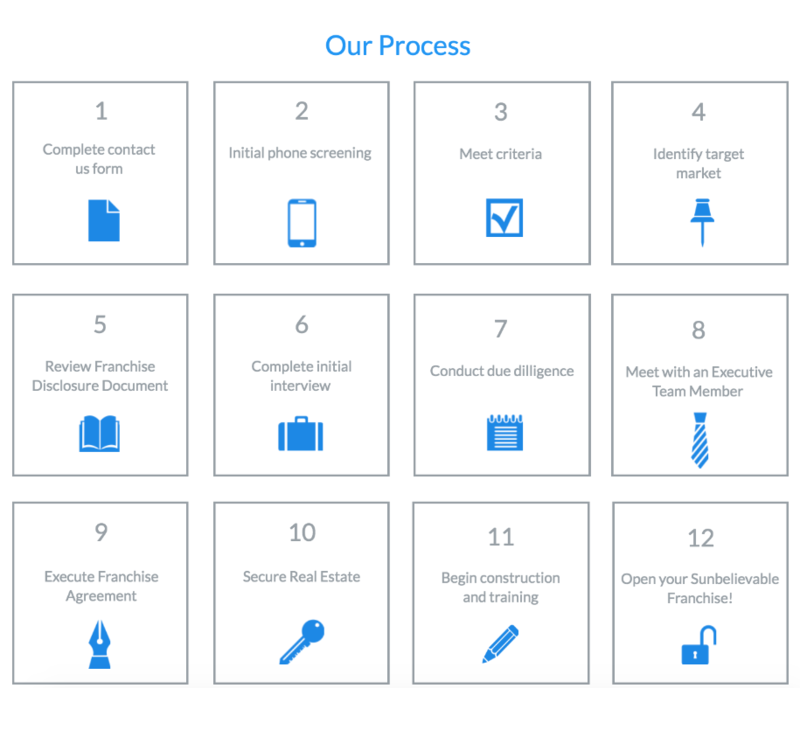 In the State of New York, the offering of a franchise can be made only by prospectus that has been previously filed and registered with the Department of Law of the State of New York. The application for registration of an offering prospectus or the acceptance and filing thereof by the Department of Law does not constitute approval of the offering or the sale of such franchise by the Department of Law or the attorney general of the State of New York.